At 5:28 a.m. EST, Expedition 57 Flight Engineer Serena Auñón-Chancellor of NASA used the International Space Station’s robotic Canadarm2 to grapple the Northrop Grumman Cygnus spacecraft as Alexander Gerst of ESA (European Space Agency), monitored Cygnus’ systems during its approach. Next, ground controllers will command the station’s arm to rotate and install Cygnus, dubbed the SS John Young, on the bottom of the station’s Unity module. 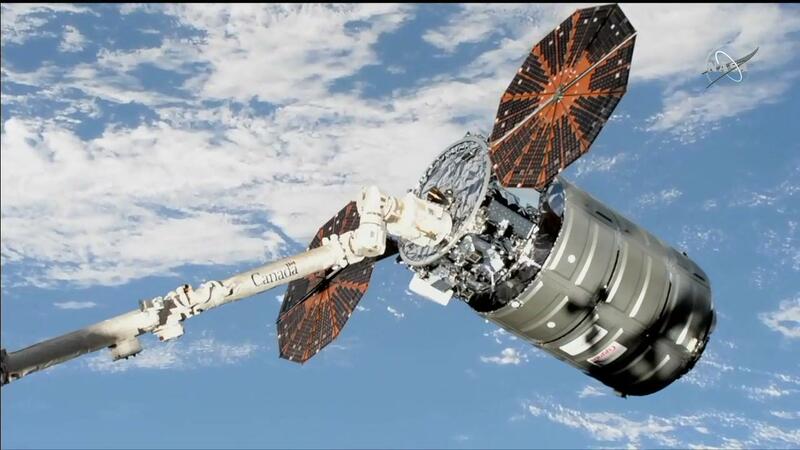 NASA Television coverage of installation will begin at 6:45 a.m., and installation of the Cygnus spacecraft to the space station is expected to be completed later this morning. For more information about the International Space Station, visit www.nasa.gov/station.